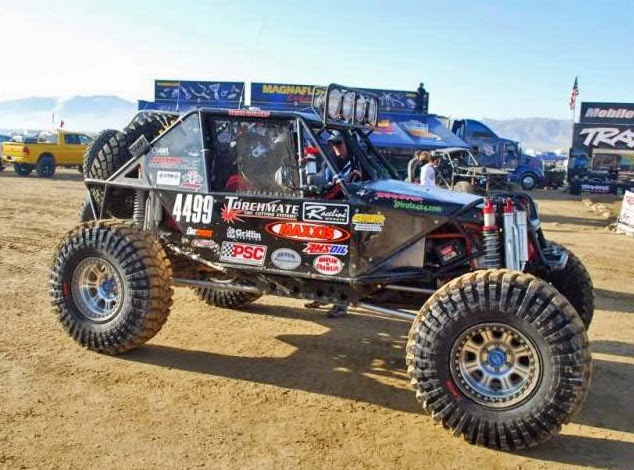 The series championship for ULTRA4 off-road trucks will take place at Wild West Motorsports Park near Sparks, Nevada. Practice and qualifying take place on Friday, October 17. The finals are on Saturday, October 18. More than 100 drivers from 17 states will be participating in the Nitto National Championship race. ULTRA4 class vehicles are 4-wheel drive with unlimited motors, chassis, gear ratios, and suspensions. The vehicles are capable of speeds over 100mph with high ground clearance for technical rock crawling. The race course will combine technical rock obstacles with short course racing in front of grandstand seating. Several classes of vehicles will be racing, but the ULTRA4's are the heavy hitters in the field. Food and vendors will be available at the Wild West Motorsports Park. Spectators can purchase tickets by clicking here.